Let's say you are on a call with your US counterpart. You and your counterpart are planning how to add features into the website, but after trail and error, it's not working out. Your US counterpart could respond, "Well, though we've tried a lot of things, it looks like we will have to go back to the drawing board again." 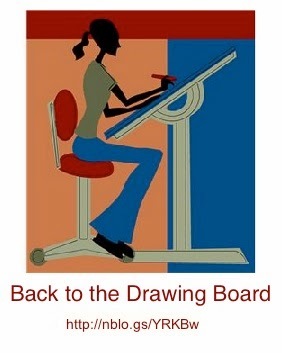 What does "Back to the drawing board" mean? Can you make out from the context of the story or situation the meaning? Take a guess! If you guessed that this phrase means "to start over again," that's correct! This phrase is often used when original plans or ideas are identified and don't work out and we have to start all over again. Based on their tone of voice, they could be positive about the situation or frustrated. To hear the definition of this idiom by Andrea of ESL basics, watch the video below. Related idiom: Putting our heads together Andrea is an avid traveler, teacher, and speaker in addition to the creator of ESLbasics.com. She has visited 29 countries (and counting), speaking about English Language education and learning about cultural adjustment. Andrea is the assistant director of ESL programs at a university located in the rolling green hills of central Kentucky. With around 700,000 views on Youtube, Andrea has established herself as a leader and innovator in the field of online ESL instruction. Jennifer, the owner of this blog, has trained and coached over 3,500 professionals since 2009 on how to communicate effectively in cross-cultural business between the U.S. and India. Contact us to learn more about how we can help your team.